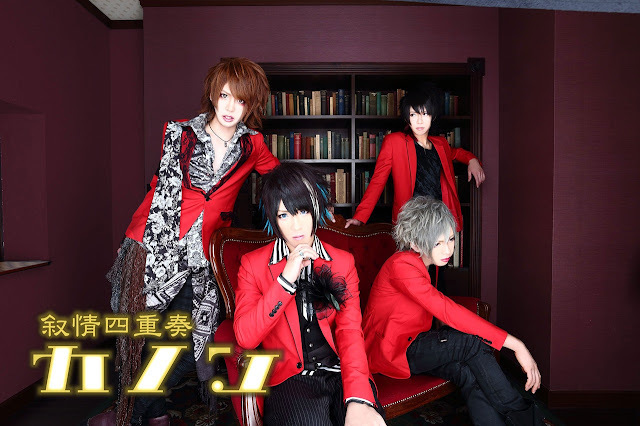 叙情四重奏「カノン」 (kanon) will disband | VKH Press – J-Rock & Visual Kei Coverage Worldwide! 叙情四重奏「カノン」 (kanon) will be holding their last one-man live on June 8th at Ikebukuro EDGE. Only three members will be standing on stage that day since bassist Io is already going to leave the band after their performance on March 28th at Shinjuku RUIDO K4 due to personal reasons. They debuted back in 2013 when their band name has still been オッドウェイ(oddway). All members thank their fans for their support during this time.